In this article, we progress into the next decade of our ‘Dressing Your Age’ series – FashionBeans quest to create a stylish world for generations to come. When the fiftieth birthday looms, the general reaction is one of dejection and despair – but despair not loyal FashionBeans reader! Read on and learn how to brush off the dust, blow the cobwebs away and re-house the spiders for good. A fresh approach to dressing will keep you looking and feeling better than you thought possible. That is underlying ethos of this series; to not only keep you looking the best you can, but also feeling your very best. With such an approach it’s important to say that these articles can be treated with a pick-and-choose mindset. Just moved away from bustling city life to that dream beach hut in the sun and never want to see a tie again? See our advice on casual wear. Reached the top of the company? Take a look at our advice on suits. Apply the advice that relates best to you – your comfort level and personal style. I guarantee that it will keep you feeling top notch for years to come. As always with a man’s wardrobe, many of the clothes from the previous year can look fantastic. With this in mind, take another look at our 40s article, as many of these tips can translate perfectly here too. The difference when reaching the 50s comes from knowing how to turn things up in the style stakes, without looking too garish or like last year’s decomposing boy band. Keep thinking about style rather than fashion, understatement more than statement pieces and always think, ‘What would Jagger do?’. Mick Jagger would start off by looking at the following lookbook for inspiration. He would probably say that although the models here are potentially thirty years younger than yourself, using the pick-and-choose approach discussed earlier, individual items can easily be interpreted into a look for the 50 year old. Thanks Mick. I totally agree with James. Staying in shape will always mean looking good, healthier and keep you feeling better. Although James aims this advice to those in the 40s, I would argue that there is no time like the present and that with some guidance, 50 could be the time to get healthier than before. However, telling you how much metal you should be lifting up and down isn’t my expertise and frankly, is not what you expect of me. So let’s get to the good stuff – those all important wardrobe considerations you should be making when you hit the big five ohh. 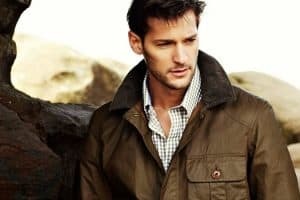 Note: Before we start, you will notice that throughout this article there are plenty of picks from high street stores that you wouldn’t necessarily associate with the older male. Of course, we would all like to think that we will be financially comfortable when we reach 50 but in today’s society, this isn’t a guarantee. The high street can still be shopped by men in their 50s, the key is to look for quality and avoid obvious branding. Topman, AllSaints and the like can still provide for men your age, you just need to be a little more considered. In addition, with the progression of online shopping, you don’t even need to step into a store with all those little whippersnappers either! Alternatively, if you cannot get your head around this concept, or simply want to move away from these ‘younger’ brands, there are definitely retailers on the high street that can deliver contemporary clothing for the maturer male. Think M&S (very underrated), Next, Burton, Reiss and the like. There is nothing quite like a rollneck to keep everything looking mature, age appropriate and contemporary. They were all over the recent autumn/winter runways, and the rollneck is a piece that can be worn comfortably by both someone in their 50s and the trend following youth. A rollneck can also be a great way of injecting colour into an outfit, as they come in such a rich range of colours and textures. A thin, colourful rollneck can look effective under a shirt, whilst a thicker, woollen piece will be excellent on its own for winter. 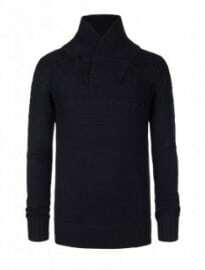 However, be sure that the rollneck doesn’t make you look like you have a neck with rolls on it! The rollneck works best on a slender frame but will also look excellent on an athletic build. They can definitely work well on larger build men, but you need to be sure that the neck is not too tight – try a looser chunky knit rather than a thin, clingy merino version. Just be sure to experiment and see how you feel. Unfortunately, it’s time to move away from the beloved blazer – if only slightly. A blazer can work well into the forties and normally look more casual than a suit jacket; however, perhaps changing to a casual suit jacket will look more effective once changing the decade. The blazer can stay in the wardrobe and be worn on sunny days with casual white jeans, but only if you have the figure to complement it. If you’re unsure, make the move to the casual suit. Pastel colours are the best way to make a suit jacket look much more casual, whilst at the same time showing you youthful flair. Be sure to stay away from bold colours or designs as these will make you look older. That being said, be prepared to try different textures and designs to keep a varied and interesting wardrobe. Look at tweed, linen, herringbone; one, two and three buttoned suit jacket; and interesting cuts such as double breasted and shawl necks. Varying the colours will stop everything looking too similar and cover a wide variety of occasions. So, What do you wear with this casual jacket? Firstly, disregard the thought that matching trousers must be worn with the jacket. This could actually make you and your outfit look stagnant and mechanical. Why not try a camel jacket with deep blue trousers? A good tip on choosing a different colour trouser to match a jacket is to look at the lining. Normally a jacket’s lining will complement the jacket’s colour, so why not adapt this shade to the trousers? A degree of common sense should be used here; a neon blue inner lining might not make complementary trousers. 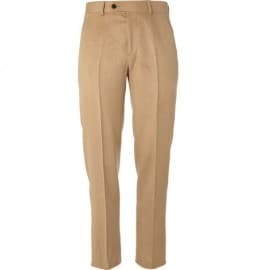 A sure winner will always be white trousers/jeans in summer and camel suit trousers/chinos in autumn. These colours will go with most jackets and will look comfortable with a luxurious pair of brown leather shoes. Casual wear can often be the downfall of the otherwise stylish male. It is often a contentious point due to there being many variables that effects what works for your body type. Height, personal style, weight, occasion – far more can go wrong than our earlier look at suiting. Here are some quick pointers to keep you looking stylish at the beach and the bar. A good investment to make is the (very much on trend) contrast-collar shirt. These will make you look youthful, fashion forward and can be taken from the office’s desk to the resort’s cocktail bar. A bright blue shirt with a white collar will bring colour under a formal, midnight-blue suit and look sophisticated and professional. To make that move to the sun, lose the tie, undo the top button(s) (never any more than two) and wear with some cotton or linen stone trousers under a soft-shouldered, tan jacket. These shirts are a great investment as they are suitable for many occasions, so be sure to buy one that is fitted well to your body. Shorts become a garment that divide opinion when we get older. I think that a nice pair of fitted shorts can work well when worn by someone with a more athletic build, but might work negatively on a larger or thinner male. Take a look at our article on Nick Wooster to see how the shorts can look their very best at an advanced age. 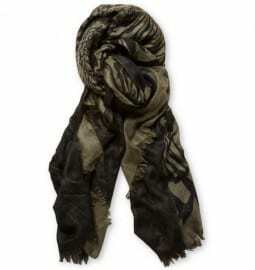 Wear with a simple t-shirt under a light jacket. Be sure to keep the length to slightly above or below the knee, never higher. 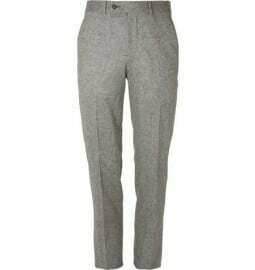 Unfortunately, trainers can look plain wrong on the maturer male. Even if you keep the design minimal and in leather, it can still look like you are trying too hard to recapture your youth. However, with the way men’s fashion has progressed recently, you have a readymade alternative; the suede shoe. Perfect for casual outfits, suede produces a relaxed yet refined aesthetic that will instantly bring all of your weekend looks up a notch. Every shoe style imaginable can now be purchased in suede, so it is up to you to pick your poison – are you a loafer kind of guy? Or more of a Buck man? Either way, these are the perfect substitute for your beloved Converse. In terms of colour, you can’t go wrong with a timeless brown suede pair. However, don’t be afraid to look at beige, tan or navy – all of which still look chic, but will make an effortless statement within any outfit you choose to integrate them into. We looked at hats in the 30s, gloves and scarves in the 40s and now we move to the new must-have; the bag. Bags weren’t frequented on male catwalks until relatively recently, but now they get reinvented each and every season. A good holdall will always be a wise choice, but it is best to keep your options open. The traditional briefcase has made quite the renaissance and will bring classic style to the office. Document holders and iPad cases are currently in vogue and with so many different styles available, they are a way of showing some individuality whilst keeping your prized possessions safe. Backpacks should be as far away from the slogan full, ripped-effect, cartooned bags for children as possible! With the amount of elegant options available, there is no excuse for bearing a scruffy, childish bag. Unlike many trend items of clothing, the latest bag trends can be followed in the 50s – keep you looking good and contemporary. Why not grab an on trend tote or the resurging old-school satchel? Purchase them in timeless colours and classic luxury materials and you can’t go wrong. GQ’s number 28 in their 2012 best dressed list, Mr Oldman reinforces all the points that we’ve made through this article. The structured casual suit jackets are present, along with suit separates, white ensembles and pastel coloured shirts that show some flair in a non-garish way. There is nothing wrong with wearing a black suit everyday to work, however, it’s important to keep things varied if you don’t want to look older and out-of-the-fashion-loop. Variety is the spice of life; so try changing from a plain white shirt to a deep blue contrast collar or even a dark purple. Midweek, why not opt for a double breasted or camel jacket? Ties should be changed daily (with strictly no novelty pieces) and a bow tie could make for a refreshing option every now and then. As for footwear, change from brown brogues to a youthful black Chelsea boot or a professional monk strap. Keeping everything varied will keep your younger ‘fashionable’ colleagues on their toes and show you really are young at heart! Don’t make the mistake between vanity and grooming – but don’t think that grooming is only for the young. No-one said you have to run out and get a perma-tan or start shaving your chest. Keeping a clean shave/well-preened beard, general cleanliness and a sharp haircut are timeless concepts that will always keep you looking youthful and make you feel more confident about your overall appearance. Also, don’t be put off by ‘lotions and potion’, seeing them as frivolous. Keep things basic if you are old school; a good scent, some moisturiser and a suitable hair product is all you need, and will only complement your wardrobe. We’ve made it through the fifties, so we only have one era left to cover – Dressing Your Age: 60+. Be sure to have a read over the whole series, as many of the tips given can be adapted for any age. I hope this article has helped anyone in their 50s looking for some guidance or any 40 year olds preparing for the future. What would be your personal tips for men in their 50s? How do you think your style will adapt as you get older? Do you find a rollneck a wardrobe staple or a daring choice? What’s your casual wear like currently? Who is your personal 50s style icon?